We have a sweet children’s book called First Tomato, in which a young bunny picks the first ripe tomato and her mother makes her fresh tomato soup. 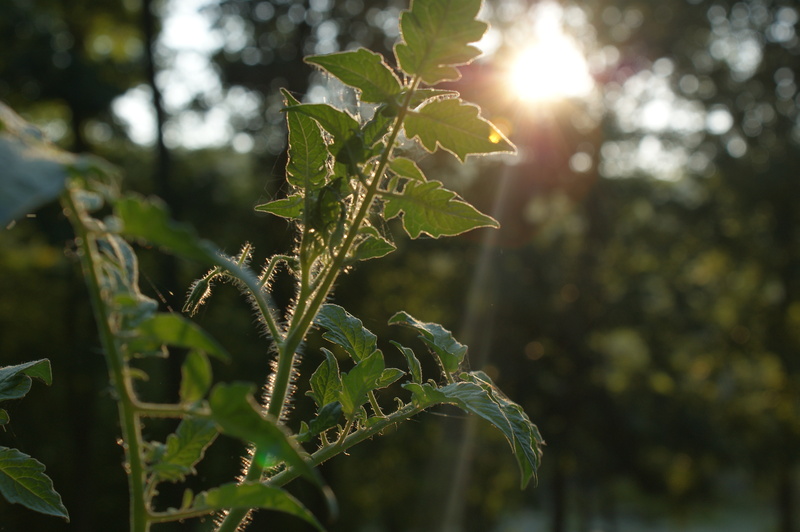 Only after downloading this photo did I notice that the morning light reveals tiny spiderwebs on the tomato plants, a harbinger of Halloween. 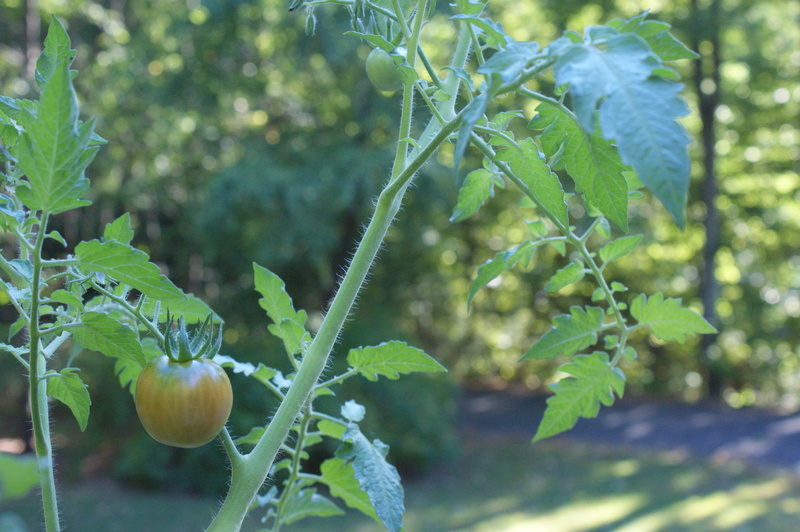 Taken just a few days ago, it already harkens back to seemingly distant, definitely brighter summer days, and I am hoping that the remaining tomatoes will ripen before the frost arrives. We wait all through June and July and into August for that first tomato, but we never can be sure when we will eat the last, finding sometimes that the days have gotten too short and we have waited too long. Nice. I remember that book, too. Perhaps you should start an end-of-season fried green tomato tradition.